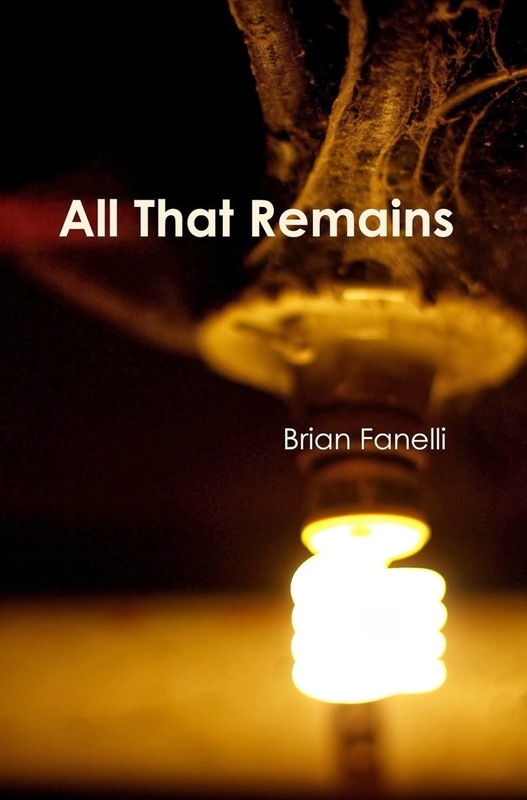 Brian Fanelli’s poetry has been nominated for a Pushcart Prize and has appeared or is forthcoming in North Chicago Review, The Los Angeles Times, World Literature Today, Main Street Rag, Boston Literary Magazine, Oklahoma Review, and other publications. Brian has an M.F.A. from Wilkes University and is a Ph.D. student at SUNY Binghamton. He teaches English full-time at Lackawanna College. He is the author of one chapbook, Front Man (Big Table Publishing), and the full-length collection All That Remains (Unbound Content). 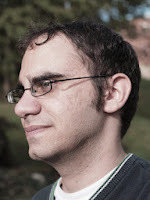 For more information about Brian Fanelli and his upcoming events you can visit his website www.brianfanelli.com. HL: All That Remains is full of working class imagery. Some of your poems in this collection produce a sense of the modern day ‘American Dream’—hard working, middle class families struggling to make things work. Where do you get your inspiration for writing such poems? BF: When I was writing a lot of the poems in All That Remains, the Occupy Wall Street movement was just starting to occur, so there was this growing awareness of economic inequality. It was talked about for a while in the press and even among our politicians. Prior to that movement, I worked a number of odd jobs. I was a news reporter for a few years, a county clerk, and an adjunct instructor. I also worked in a factory for a few summers, which I recount in a few of the book’s poems. Most of those jobs paid low wages and I had no health benefits. But I met some characters I’ll never forget, so the experiences were worthwhile. Besides my own experience, I took inspiration from a lot of working-class poets, including Phil Levine and Jim Daniels, even going back to William Carlos Williams’ work and Carl Sandburg’s first two books. Their work praises the everyday experience and trying to find beauty in ugliness, including grueling jobs. Regarding form, a lot of the poems in the book are narrative and have different voices and personas speaking, so I spent a lot of time reading contemporary poets that use that technique, especially David Wojahn, Major Jackson, Charles Harper Webb, AI, and several others. I’m even drawn to Bruce Springsteen’s portraits of people in tough situations and the way he adopts different voices for his songs. I think “Atlantic City” and “The Ghost of Tom Joad” are some good examples of that. Other poems explore triumph over weakness, relationships, both familial and sensual, and war. How close are these themes to you? Regarding the issue of war, my generation has grown up with the War on Terror. I was a senior in high school when 9/11 happened and in college when the second war in Iraq started. I had friends from high school who enlisted and were sent to Iraq and Afghanistan, so that issue is close to me. A few of the poems in the book, especially “At 18” and “Before He Enlisted,” deal with that era and those wars. Regarding the issue of relationships, I’ve always found family dynamics interesting and something worth exploring in writing, as well as the issue of gender roles, especially challenging traditional gender roles in writing. Like other writers, I draw on experiences I’ve gone through and also find inspiration in what I’ve read or what I’m currently reading. The best way to stay inspired is to keep reading as much as possible, and not just in your particular genre. I certainly read several poetry collections, but also a lot of fiction and nonfiction. I’m still a news junkie too, and current events can provide inspiration, though it’s your job as the writer to find an interesting way to address the current event and make sure the poem doesn’t become dated. That is not an easy task. When it comes to writing your poems, do you think at all about a collection? Or do you write the poems first and then discover similar themes? I don’t think about poetry in terms of a collection or the next book. I just write, and when I have enough poems, then I think about a full-length collection or chapbook, trying to find some similar themes or similar techniques among the poems. How do you go about putting a collection together? It’s important to focus on reading and writing before even considering a collection. Once you feel confident enough that you have enough fully realized and fully revised poems, then it’s time to sit down and look at some of the poems in terms of a collection. That’s not easy to do because as you try to find some commonality among the poems, you need to ensure they are distinct enough to stand on their own. I also try to ensure that the poems speak to each other and interact. I like collections that have interesting and unique voices, almost like a conversation. I worked on All That Remains for three or so years. Some of the poems were completed while I finished my M.F.A. at Wilkes University, and the others were written in the summer of 2010 into 2011, so it really took a few years. At first, I wanted to focus on the issue of relationships and gender roles, but then the book morphed into this working-class collection because that’s what I kept writing. I continually went back to various jobs that I had over the years and the growing class divide in the U.S., as well as my own fears that I would never find a job that paid well and offered health benefits. I’m thankful I no longer have that anxiety, but there’s a growing number of Americans underemployed, beyond what the statistics show. What is your writing process? Do you wait for inspiration to strike? I don’t wait for inspiration to strike. I write daily, usually in the morning. I don’t write a poem a day. Usually, I just journal. Some of the journaling builds into a poem, especially if I have a rhythm or image in my mind. Your final poem, “Where Poetry Exists,” says, “I tell them poetry is found in labor / of men and women who still populate / their hometown, that to write it seriously / should be as habitual as waking / to the alarm clock’s buzz and meeting the work day.” Is that how you approach your writing? Well, I think writing is hard work. It is grinding, and it can be grueling. It should become a daily thing, not just the writing part, but the reading. All of that is hard work. Find whatever routine works for you and stick with it. Sometimes it can be frustrating, and sometimes you want to quit, but you have to keep waking up and doing it. Where can interested readers get a copy of All That Remains? The easiest way to purchase the new book is from Amazon or the publisher’s website, www.unboundcontent.com. If I come to your city and do a reading, I’ll have books there as well. All of my readings are listed on my website, www.brianfanelli.com. What does the timeline look like, marketing wise? The book will be out this fall, and then I’m doing readings around the tri-state area throughout the fall into 2014. I’ll be reading in Scranton, of course, New Jersey, New York City, Doylestown and New Hope, which are outside of Philly, and other pockets of the northeast. I’m looking forward to sharing these poems with different literary communities. I’ve been told many times that you write what you read. What have you been reading lately? Right now, I’m reading David Wojahn’s selected poems, Interrogation Palace. I’ve always liked his references to rock ‘n roll history, especially when he puts those poems in a tight form, such as the sonnet, so you have this raw rock ‘n roll language juxtaposed with a restrictive form. It’s a great contrast. I also like his deeper, longer narrative poems and the way he connects ancient history to present day issues. I’ve also been re-reading a lot of Langston Hughes and Gwendolyn Brooks because I’ve been toying with the idea of writing an essay about the way they depict the modern American city in their poems and the role music plays in their work, both as an act of protest and a representation of the black community and black history. Music has always played a central role in my work, so I love to analyze how other poets use it. I just finished a collection of short stories by Jack Driscoll called The World of a Few Minutes Ago. I love the blue-collar aspect of his work and how haunted his characters are. He’s also a master of using backstory and using it right. My days are pretty normal. I wake up, get some writing done, and then teach. I first started in high school, but I was really exposed to poetry in college, when I had two workshops with Kate Northrop. At the time, I was writing like the 19th Century poets I was reading- Wordsworth, Byron, Shelley, Keats. She taught me the importance of finding your voice and modernizing your language. I was also obsessed with writing poems about neighborhood spookhouses, really strange, oddball stuff, so she gave me collections by Charles Simic and Mark Strand. I was blown away by their uncanny images and dark humor. Now that you’ve just finished All That Remains, what’s next? I’ll be doing readings for the book throughout the end of the year into 2014. I’m also working on my Ph.D. at SUNY Binghamton, so that consumes a lot of my time, and of course, I’m focused on my teaching and classes at Lackawanna College. I love my job and the challenge of making writing and literature interesting, especially for the students who don’t believe they can write. I’m still writing and publishing in various journals and magazines, but I’m not focused on another chapbook or full-length collection right now. I’m enjoying writing for the sake of writing. Heather Lowery was a Division I rower for her alma mater, Robert Morris University, where she obtained a bachelor’s degree in communication with a concentration in applied journalism. She is pursuing her second master’s degree in creative writing from Wilkes University. One of her feature articles, “A scholar of the land, shepherd of the shore,” a personal profile on an Irish farmer, was recently published in Sneem Parish News, an international magazine. Though an award-winning journalist, she has decided to take a break from news to focus on writing a memoir about her relationship with her father.